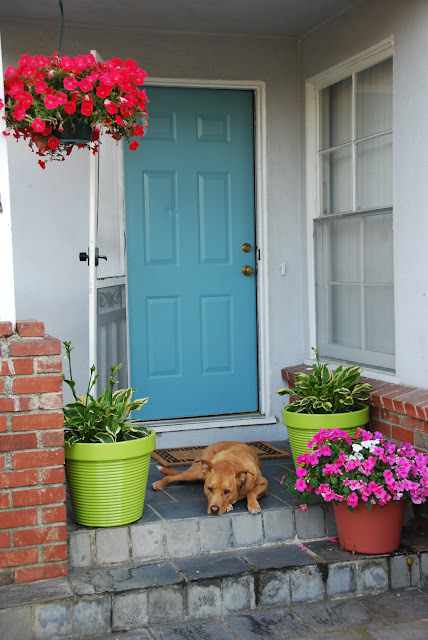 Any guesses as to what I am going to do to my red front door? Oh, fun! Our front door is a brick red, but I'm kind of stuck with that unless I go white or cream....our house is a sage green! Can't wait to see the pictures.I especially like the turquoise-y ones! I would love to change my color as well..but really I have so much color going on now, my neighbors just may kick me out of the hood. Love that blue. 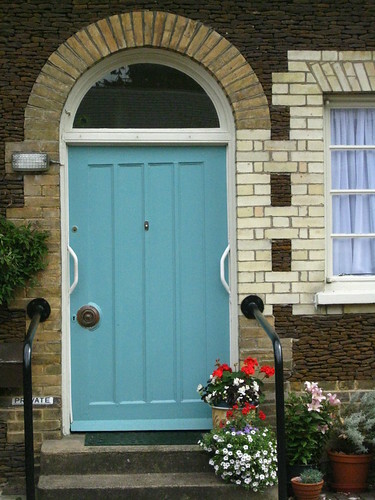 I think the blue door will be pretty! Our front door is brown the same color as our shutters! Well, You know I'll love it! 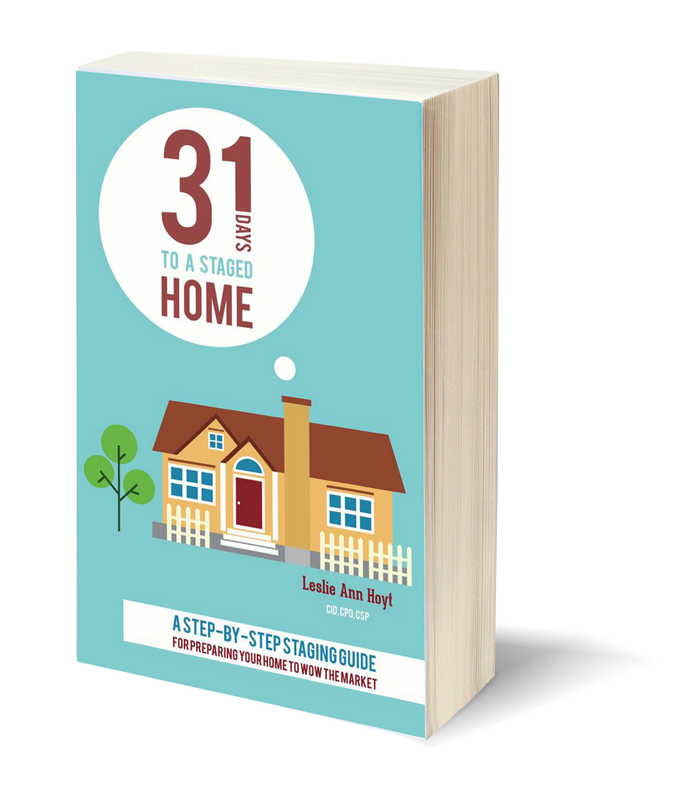 Can't wait to see your door. These colors are gorgeous! You know I'm kidding...or am I? Nah, I love the blue too. I know you'll do a wonderful job. Pictures please. Will forever remember your red door because it's the very first post I clicked which led to our friendship. I want plenty of pictures...k? I would love to change mine. Unfortunately we're sort of locked in to a range of colors because of the house color, brick color, and roof. Love all of your door pictures. For some reason, the one from Beyond the Screen Door is my very favorite. Can't wait to see it! I love all the pics. I'm with Debbie though, the Beyond the Screen Door is my fave! I love this turqui0se blue....love it! I just added this color in my home. I like the more muted shades of blue you've shown here. I have a glass door so I can't paint it. 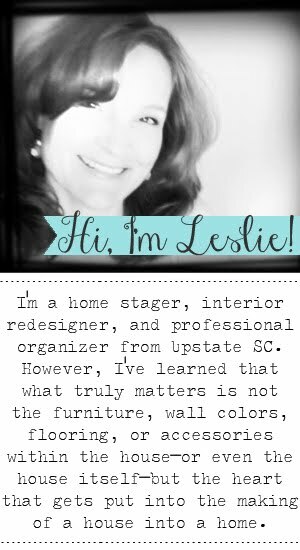 You've got some great inspiration, Leslie! I do love the shape of that first door. 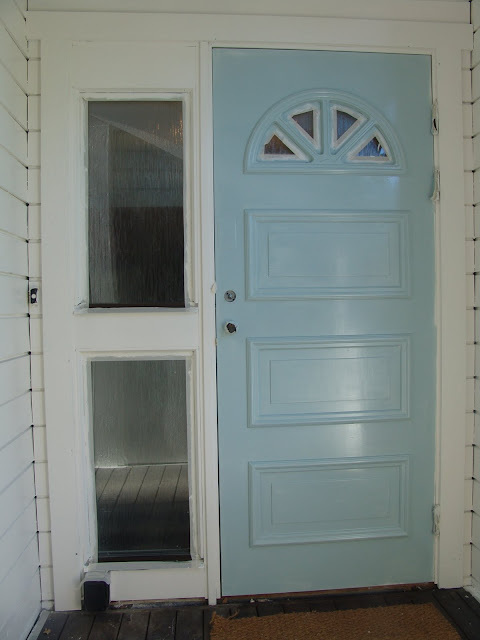 I love the first door and last door, those tones of blue are my personal favorites! 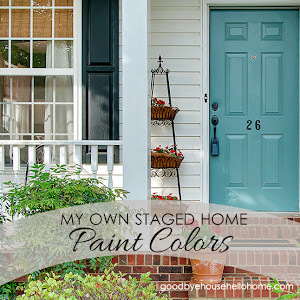 Nice change, the blues have captured my heart too, but I can't paint my front door. Enjoy your new blue!!! I absolutely love the first door and color. 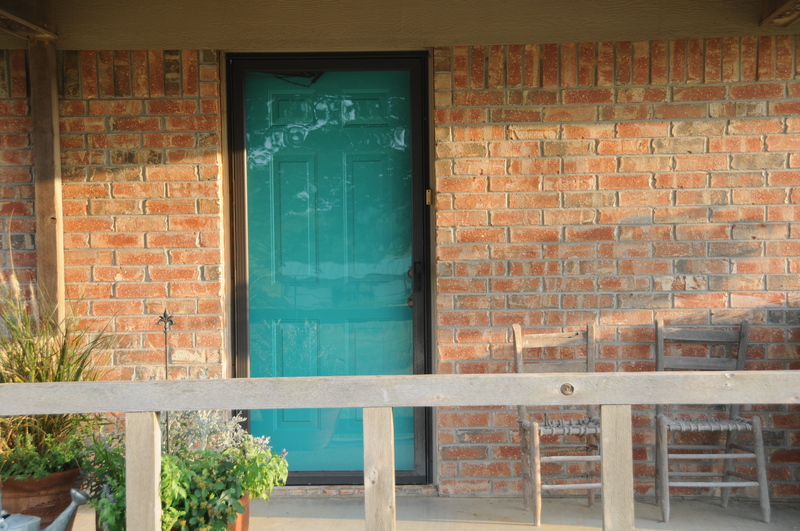 How I'd love to have the door itself.. but it won't happen, so, I'm definitely going to paint my door that color ! How can I make sure I get the exact color? This color is PERFECT! Go for it! So what color blue?!? Can't wait to see what you've chosen. I do love a painted door! This is seriously STUNNING! I absolutely love it! And the color & THOSE knobs ..just wonderful..beautiful..